Ne-Hi at The Waiting Room, June 29, 2016. The band returns tonight with Whitney. Is this the last “warm” weekend of the year? Maybe, probably. I’m getting my crappy winter beater car out this weekend — a sure sign winter’s here. The best of the bunch this weekend is tonight at The Waiting Room where indie hot stuff Whitney headlines with NE-HI. From Chicago, Whitney consists of members of the late, great Smith Westerns. 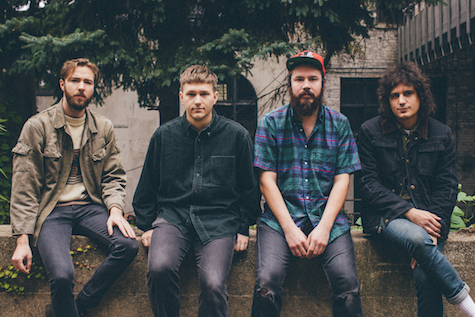 The band’s break-out album, Light Upon the Lake, came out in 2016 on Secretly Canadian. One presumes they’re working on new material, though recent shows merely featured the old stuff along with a handful of covers (including Neil Young’s “On the Way Home,” Dolly Parton’s “Gonna Hurry (As Slow As I Can),” Dylan’s “Tonight I’ll Be Staying Here with You,” NRBQ’s “Magnet,” etc.). Opener NE-HI just played Reverb this past March (read their Ten Questions interview here). $15, 9 p.m., expect a packed room. Also tonight, Ryan Menchaca & The Invisible Horses headlines at fabulous O’Leaver’s. Opening is Carl Miller of The Thrillers’ fame and Des Moines act SIRES. 10 p.m., $5. And its the first Friday in December which means it’s Benson First Friday. As part of the fun The Little Gallery, 5901 Maple St., is hosting its annual “little show” where all works in the main gallery are 12” x 12” or smaller and $100 or less — perfect for holiday gift giving! Among the more than 20 artists showing works are Jason Steady, Jadon Ulrich, Mike Loftus, Brad Thiel and Nebraska Dept. of Motor Vehicles. Plus there will be beer, wine and some food. Drop by and say hello. The gallery is the east storefront of the Masonic Lodge Building on south side of Maple Street at 5901. See you there. Tomorrow night is the return of Son, Ambulance at O’Leaver’s. Who will be in this incarnation of the band, fronted by singer/songwriter Joe Knapp? Opening is Lodgings while Annie Dilocker’s latest project, Dirt House, headlines. $7, 9 p.m. Finally Mark Olson of The Jayhawks plays at The Waiting Sunday night. $15, 7 p.m. And Matisyahu plays at The Slowdown with Common Kings and Orphans. 7:30 p.m. start time; tix are $25 Adv./$28 DOS. And that’s all I got. If I missed your show put it in the comments section. Have a great weekend. I’ve practically begged Saddle Creek to launch a singles series for years, and today the label announced that it’s finally going to do it. 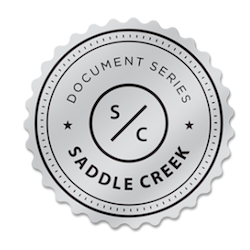 The Document Series will comprise of an exclusive record featuring unreleased music from artists outside of Saddle Creek’s roster, along with a specially curated ‘zine highlighting the artist’s hometown / music scene, according to the label. The first installment of the Document Series is the two-song Kismet 7” from Seattle’s Posse, to be released March 10. Other artists slated for the series include Palehound, Hand Habits and Wilder Maker. You can preorder the Posse 7-inch for $7.99 today from the Saddle Creek website. Tonight at Reverb Lounge its Chicago garage band NE-HI. You read their Ten Questions interview yesterday. Opening the show is Nathan Ma & The Rosettes and Wrong Pets, the new project by Reagan Roeder. $10, 9 p.m. Meanwhile, right around the corner at The Waiting Room, Lucero headlines with Esme Patterson. $25, 8 p.m.
NE-HI plays at Reverb Lounge March 2. Jangle-buzz garage rock band NE-HI is the product the Chicago house show scene, emerging from a Logan Square DIY space called Animal Kingdom in 2013. The four-piece, fronted by guitarist/vocalist Mikey Wells, slowly crawled onto bigger stages on the strength of its live shows and the band’s self-titled 2014 debut. 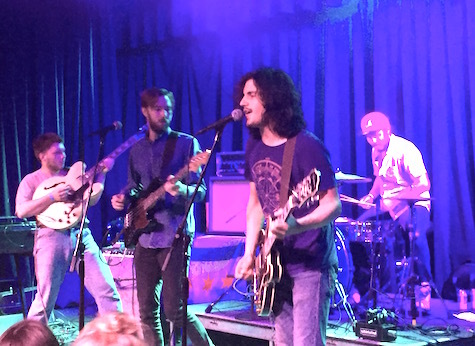 The next thing you know, NE-HI was touring with Black Lips, Car Seat Headrest and Chicago bros Twin Peaks, including a swing through Omaha last June for a set that reminded me of Stone Roses circa 1990. Most of the tracks on the band’s follow-up, Offers (2017, Grand Jury), were recorded live in studio to capture their trademark house-show energy. Mickey Wells: My favorite album right now is the first Ramones album. I hadn’t listened to it in a long time and i forgot how cool and funny the lyrics are. My least favorite song of all time is “The Long and Winding Road” by the Beatles. It’s both long and winding and is sentimental crap. I really enjoy playing the shows and going to different towns and meeting new people and making friends. It’s a cool way to see the country. Either coffee or the weed honey I put in my coffee. The lines are blurred! I like Atlanta a lot. Good food, nice people and it’s usually a fun crowd. In NYC our first time we played there we drove a super long time and then played in a coat closet and the sound person kept telling us to turn down the whole time. That was a bummer. Kind of half and half. We make some money playing music but we also all have jobs at home when we’re not touring. Maybe some sort of writer or painter. But a successful one haha. I’ve heard about the legend of infamous Omaha omega swamp monster. It supposedly roams the night in search of touring musicians and rats to eat! 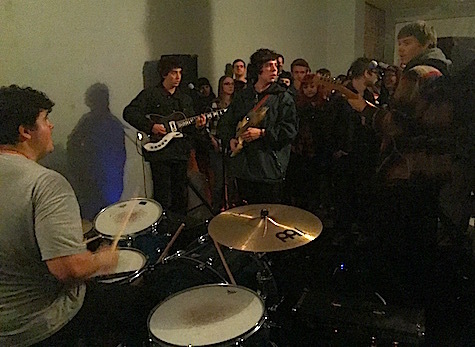 Twin Peaks at Midtown Art Supply, Nov. 25, 2014. The band plays tonight at The Waiting Room. The only update today is a reminder of tonight’s Twin Peaks show at The Waiting Room. The last time they came through back in November 2014 they played at Midtown Art Supply to a crowd of fewer than 100, but it was a good show. You can read the review of that one here. No doubt the band’s exposure has grown since then, or else they wouldn’t be playing a big space like The Waiting Room. BTW, here’s that link to my Ten Questions with Twin Peaks if you haven’t already read it. Funny stuff. I’m as interested (and maybe a bit more interested) in the opener, a Chicago four-piece called Ne-Hi, whose 2014 debut on Manic Static has been on constant rotation on my iPhone for the past couple days — refined psych garage rock. Extraordinary. These days they’re on Grand Jury, and I have a feeling they’re going to blow up. Also on the bill are Omaha’s own Eric in Outerspace. $12, 9 p.m. See you there.